With Princess and the Frog coming, we all know that Disney is going back to the basics by doing traditional 2D animation that makes them big during those years till late 90's. Another Disney animated movie is on its way next year. As we all know, the tale of Rapunzel is so famous among kids and this is one of the classics that Disney failed to produce. So now is the time that they are producing an animated feature for this classic masterpiece by the Brothers Grimm. 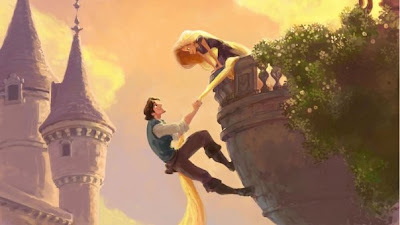 As a teaser Disney released on their facebook account some concept artworks of Rapunzel. Every photos has the spark of nostalgia for it really reminds us of those classic Disney animated movies before. But before you get excited, we still need to wait for at least a year and a half for this film because it is set to premiere on December 2010. For now enjoy the artworks and wait for more updates.